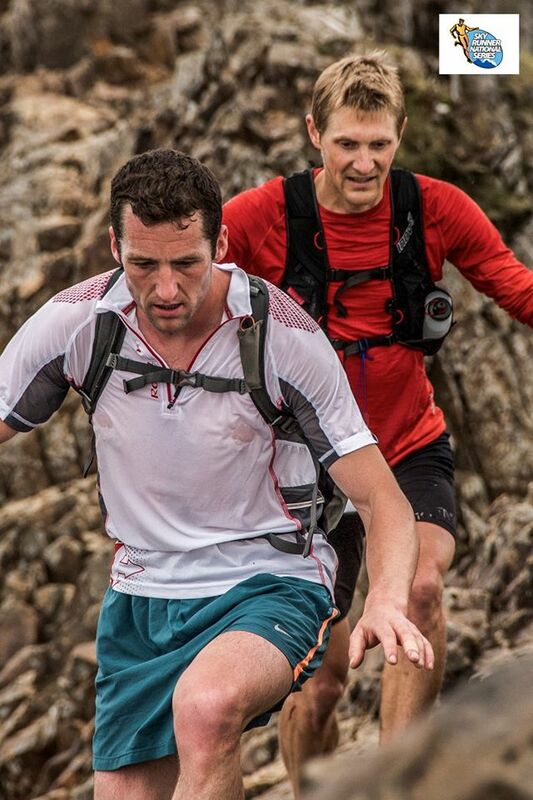 V3K Ultra on 13th June 2015 kicked off this year’s Skyrunning UK series, with some amazing mountain running by the men and women who tackled one of the most technical races in the UK. 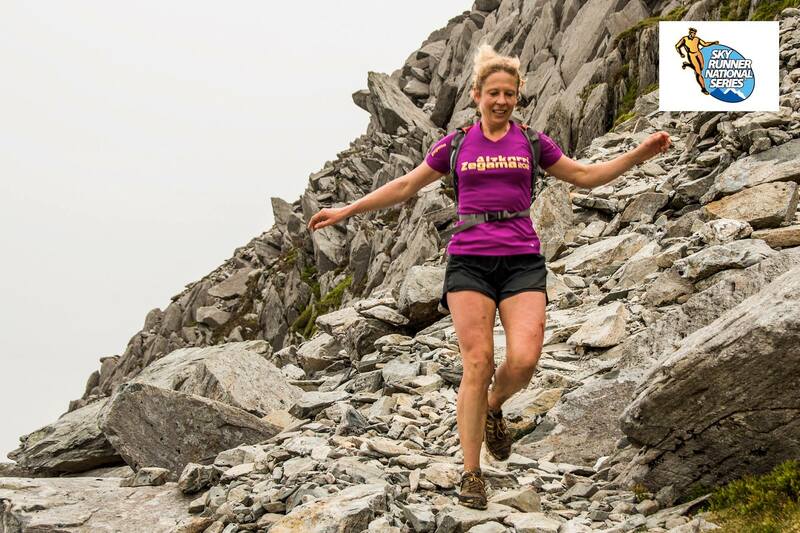 The race takes on the established challenge of the Welsh 3,000s, which crosses all fifteen mountains over 3,000ft in Wales, but rather than peak to peak of Snowdon to Foel Fras the race starts at Nant Gwynant and finishes in the pretty village of Rowen. This adds extra distance to the established challenge with V3K Ultra being 55km and over 4,000m ascent. The race started as a “buddy pact” between 3 friends who decided to complete the welsh 3,000s challenge every year and has grown from 12 participants in 2012 to over 160 registering in 2015 and is organised by one of the original trio, Race Director Kirsch Bowker. A bowl of vegan pasta and slab of chocolate cake was served up at the mandatory kit check, registration and briefing on the evening of 12th June at race headquarters in Rowen. Weather forecasts had been extremely negative for the week previous with weather warnings being issued for parts of the UK so there was much discussion about this. At the time of the briefing the forecast was showing light showers, much better than the torrential rain and possible thunder that had been predicted earlier in the week! As the very faint first rays of sunlight reached the sleeping village of Rowen on 13th June busses arrived to take participants the 26-miles by road to the start of the race in Nant Gwynant. By 5am the busses had arrived at their destination and so had the midges, but luckily not the terrible weather that had been forecast. The morning was dry and already warm, there was an excited, hushed atmosphere, as runners congregated at the start. And so the race began! 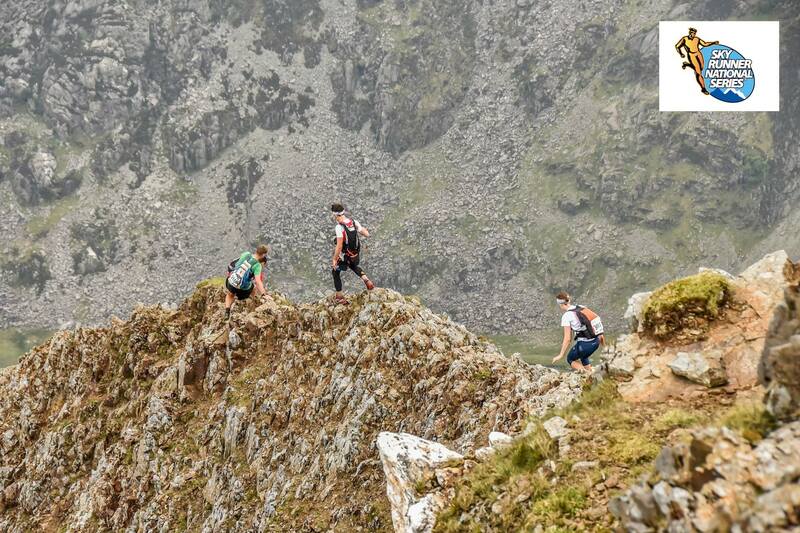 Runners made their way past the waterfalls of Cwm Llan, as they passed their first corner they got their first view of Snowdon’s south ridge Bwlch Main where they would be making their ascent of Wales’ highest peak. For some this was to be their first time at the summit on a clear day and weather conditions for runners’ traverse of the Garnedd Ugain and Crib Goch and Crib Goch’s north ridges couldn’t have been better, no wind, dry and good visibility. But this section is extremely technical with a great deal of exposure, although the descent of north ridge is soft scree, which some participants relished! First into Nant Peris aid station with a time of 1:49:30 was local runner Gareth Hughes (winner of Welsh 1,000s the previous weekend), closely followed by Oli Johnson, both looked fresh as they came through, third in was Alex Collins, fourth Thomas Banc and Fifth Michael Corrales. First lady was Sarah Ridgeway in 2:12:13; Sarah had already gained a 20-minute lead over Sabrina Paniccia, which was to prove far too tough to break. Some runners in the next couple of waves were starting to look less fresh, aid station crew rallied round them like pit stops at the grand prix, setting them up for their next horrendous climb of Elidir Fawr. For Andrzej Kijek an existing injury proved too much. A short light shower freshened things slightly but the weather was still warm and now humid. After the ascent of Elidir Fawr there’s a lovely sweep to the fifth summit Yr Garn, then down to checkpoint Llyn Y Cwn. Hydration and water management was fast becoming the biggest factor for runners. Now running together Gareth and Oli were increasing their lead, the battle would be for third place, which was now being fought by Michael Jones and Alex Collins. Sarah Ridgeway continued to lead the women reaching Llyn y Cwn at 9:02am an hour before Sabrina Paniccia at 10.04 and Sarah Sheridan at 10:16. From Llyn y Cwn the route ascends Glyder Fawr via a scree path, then it’s over the rocky “moonscape” terrain of the two Glyders. In good visibility you can see most of the course at this point but unfortunately cloud had descended. Runners were now running in and out of good visibility and heat also made the going tough. Then over to Tryfan and descend to Ogwen Valley aid station. First through were Gareth and Oli at 4;28 with ten minute lead on Michael Jones, first lady still Sarah at 5:22 and still holding on to 9th position overall, Sabrina P and Rachel Meek 6.55. Next the final section of Pen yr Ole Wen, this year a tough ascent thanks to humid conditions. From there the route crosses the final peaks of Carnedd Dafydd, Yr Elen, Carnedd Llewelyn, Foel Grach, Carnedd Gwenellian and finally Foel Fras. At Roman Rd Aid Station runners were met by a squeeze box player who serenaded them as they ran! From there the race follows an old road then descends very steeply to the finish with a lap of the field at race headquarters. Oli and Gareth crossed the stile into the finish field and ran the finishing sweep, they claimed they were simply shaking hands as they crossed the finish line but we’d prefer to think they were holding hands and were awarded joint first in a record time of 7:34:11, Michael Jones 7.57.40. Sarah Ridgeway kept her comfortable lead to be first lady in 9:22:13, a time of 11.54.32 gave Rachel Meek second, third was Charlotte Coleman with 11.59.43. 104 started, 80 finished, out of the 13 women on the start 10 finished, onlookers filed out of the village pub to cheer in the final competitors Patrick Teague and Ashley Benson, an hour quicker than 2014’s slowest runners, so in itself a mighty achievement. And as they took the sweep of the field everyone came out of race headquarters, at 16.40.53 they were given an almighty welcome. This is an extremely tough route, we cannot emphasize just how technical, there is a great deal of exposure in places and plenty of ascent. Don’t underestimate it or it will break you! V3K Ultra 2016 will take place on 18th June; registration opens in August. Interest is already high and places are expected to fill up fast. This entry was posted in Uncategorized and tagged bowler, coleman, hughes, johnson, meek, ridgeway, v3k, wales. Bookmark the permalink.